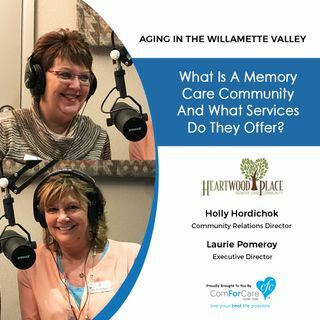 In this exciting episode, we explore memory care with Holly Hordichok and Laurie Pomeroy from Heartwood Place Memory Care in Woodburn. We explore the details of memory care, what kind of services they offer, and the type of people who live in their community. They also share details about some of the programs that are unique to Heartwood Place Memory Care. Stay tuned as we cover a wealth of information!